Wonder if I'll get an invitation to Nasscom? 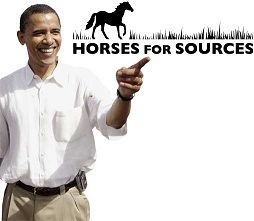 Whoever said Obama was going to be bad news for the outsourcing business? The outsourcing market has rebounded heavily with the economic recovery and the successful passage of the new Heathcare Reform Bill has both the IT outsourcers and BPOs on red-alert for a barrage of new business opportunities. For example, the need for payors to manage their administrative costs has never been as intense as it is now, with the fixed medical loss ratios. The successful passage of the historic Healthcare Reform bill has sent eager BPO and IT services providers scrambling to be first in line to take on new business. With 32 million Americans slated to join the ranks of the newly-insured, that’s going to create a major administrative headache for healthcare payors and providers. Increased business process requirements, in the form of new customer enrollment; customer service; claims processing, revenue cycle management etc. will soon be cropping up as the existing systems strain to cope with the major influx of new users. Moreover, the additional demand for IT services to support the increased data requirements is already pushing service providers to position their strategies for incremental business. Healthcare insurance providers, leery of outsourcing processes, will have little choice but to seriously examine BPO as a way to quickly scale up to handle the new administrative requirements. When facing the new demand for services and the unpredictability that will ensue, the flexibility of a BPO partnership to support rapid expansion, while keeping costs down, becomes much more attractive than hiring new staff for an uncertain volume of new business. In addition, new regulations and requirements, still being understood and analyzed, will put increased pressure on healthcare and insurance providers, which are part of an industry that is already strictly monitored and tracked. Smart providers that can stay ahead of the new regulatory environment and to stand ready with relatively low-cost, quick-fixes to these issues, will be in a prime position to develop or grow their healthcare delivery footprints. In terms of IT services, it has been estimated that the U.S. will need to spend some $2.5 trillion just to develop a new healthcare system. The bill allocates about $37 billion for electronic healthcare records (EHR), forcing healthcare providers to look at such activities as data conversion and the beta testing; installation and change management needed for a new system. Creating a standard for EHR and implementing it will be a huge challenge for payors and providers, and they will look to outside help to ease the cost and the headaches. Healthcare providers, like never before, will be interested in resource optimization; access to accurate data and will look to the third-party providers for low-cost effective solutions to help them quickly react to the larger, and more complex, healthcare provision needs. There will also be a need for analytics solutions to assess the needs and effectiveness of the systems. While BPO providers scrutinize this looming opportunity, they are also assessing the pitfalls. Some BPO insiders worry that many of the providers are not prepared with the technology and services required to meet the growing needs. As providers ramp up their functional delivery capabilities in areas such as revenue cycle management; clinical supply chain management for clinical and affiliated businesses; there will likely be a time-lag while insurance providers consider their options. However, those which are engaging in the right conversations with the insurance providers today, will likely be at the negotiation-table when it’s time to select service partners for the additional work-requirements. The offshore service providers, in particular, are salivating at the potential of this new market. But they face some challenges, including the fact that some of the work will be prohibited from being offshored. Such providers as Cognizant, Genpact, Infosys, and TCS and Wipro, just to name a few, are considering ways, therefore, to expand their onshore and nearshore delivery center presence or to broaden their partnerships. BPO providers are working on expanding, revamping and launching services to meet the need. Also well positioned to take advantage of the new market are incumbent BPO giants such as Xerox (ACS), Accenture and IBM. Moreover, Dell, with its recent acquisition of healthcare IT-BPO specialist Perot Systems, is on red altert to expand its footprint in the sector. At HfS, we are committed to tracking, researching, analyzing and reporting on this developing healthcare challenge. The Healthcare Reform bill is not just a game-changer politically and socially – it has the potential to alter significantly the outsourcing landscape. As a supplier of healthcare-specific BPO services (or a potential supplier) – how are you gearing up to respond to the new needs, requirements and regulations? As a practitioner working in the healthcare payer or provider industry, how is the bill impacting you, and how will it influence your outsourcing decisions? Contact us and we’ll send along some specific questions we are seeking to answer as we put together a report on the changes in healthcare BPO. Whether you're a healthcare payor or provider or outsourcing service provicer in the healthcare sector, please email Research Director Mindy Blodgett if you wish to be a part of this pivotal research project. Good luck with this research - this is highly pertinent, and your premise seems to be right on the money. The HFS team is clearly leading the industry for research and insight into outsourcing trends these days! My impression is that health care organizations are still waiting for standards to emerge and adopt. Electronic Health Care records are still a very sensitive subject due to the pejorative legal issues around them - supposedly "everybody" wants access to these records but how can this be provided with 100% security, etc. A lot of people also think that this Reform Bill is only a half-step. What would truly reduce/absorb the costs associated with rolling over to a new healthcare system would be single-payer as the vast amount of resources that healthcare providers currently need to make sense of the myriad of insurance billing requirements would be obviated. Get ready for a new wave of open minded thinking towards nearshoring and offshoring. The cost increases both in Dollar expense and administration caos will again make the option of outsourcing necessary to look at. With nearshoring becoming a viable alternative to India as well as the spanish market influence in the U.S., companies will start seeing outsourcing more as a need rather than a necessary evil. The key is to partner with companies that think along the same lines as your company culture and keeping the communication lines open as though the outsourcer is another department within the company. More than building near shore and onshore delivery capabilities, it is important to invest in garnering domain knowledge and building capabilities to help Healthcare Organizations adapt to this dynamic shift they are going to experience over the next 3-4 years as much of the provisions in the bill become effective. Though not specific to the healthcare industry, Indian IT companies that saw slow growth last year are begining to provide aggressive growth guidelines - anywhere between 15 - 17%. While a lot of them are talking about Europe as an opportunity, I suspect much of the growth in the near term will continue to be US. A number of them are investing in onshore low cost locations. It is my belief that the onshore capability will help expand the offerings of some of these providers. Health Care reform makes outsourcing a very attractive option. The Obama laws are going to add an additional layer of regulation that make being an employer in the U.S. even more difficult if you can imagine that. Many will view outsourced benefits & ensured compliance to be the best solution for their organizations. Outsourcers view the upcoming marginalization of medical insurance rates as positive because the product then becomes service and compliance driven rather than just “who has the best medical rates”. While asking your question you make a great case for BPO. The future of the healthcare reform law is still an open question. However, other policies of the Obama administration favor continued outsourcing, especially the administration's favoritism towards labor unions, increased taxation, and a penchant for increased government regulation. It will cut Medicare costs. (A 21% cut in cost across the board for Providers). This will happen first and get into position by 2014. Increase the number of people with insurance. be history. This despite President Obama’s statement that you can keep your plan this will not happen. The three will work in series and each is dependant upon the previous one for its success.